Nelson Elementary School kindergartners participate in the district’s “Learn Through Play” class. 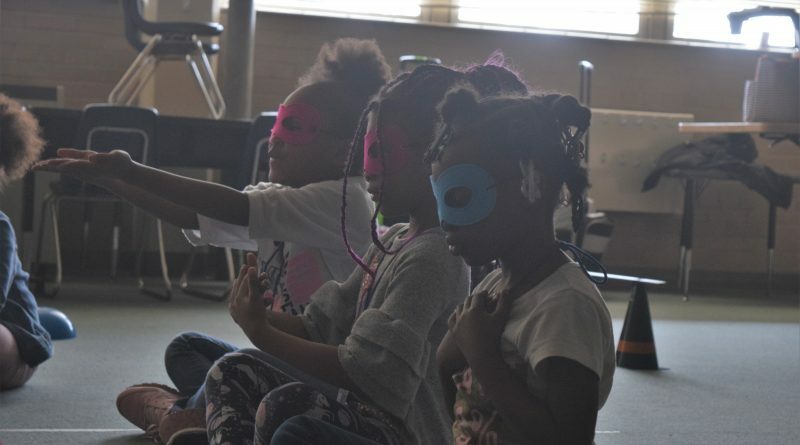 “Excellent job, ninjas!” Jennifer Gill says as a group of 15 small children sporting eye masks run around a Nelson Elementary School classroom, perfecting their kicks while clearing hurdles in an obstacle course. 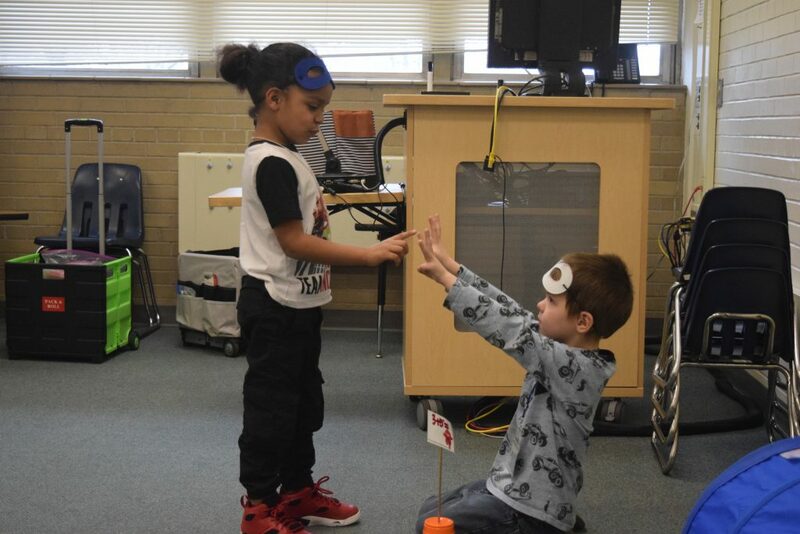 As they make their way throughout the space that Gill has transformed into a “ninja school” last Thursday, the Nelson kindergartners complete math problems, work on vocabulary, and, as they wind down, practice mindfulness. “Watch me! I’m a ninja!” one student yells as she completes an addition problem and proceeds to clamor through a tunnel set up as part of the obstacle course. As she emerges, the child lifts her hands in victory. “I’m going to ninja school!” the student says as she completes a dramatic twirl. This hour-long session with the Nelson students—one of 13 “Learn Through Play” classes Gill teaches throughout Muskegon Public Schools—is, for a ninja school, amazingly orderly. There are a couple timeouts, but those are short-lived. For the most part, the students are endless balls of energy gleefully helping one another with math problems, shining flashlights on vocabulary words that are hidden around the room, reading “Ninja Red Riding Hood,” and more. A Nelson Elementary student participates in the ninja obstacle course. Five years ago, when the school district first approached Gill about creating a program that focused on language, the educator quickly realized that a play-based curriculum would be beneficial for extra support with both reading and math. 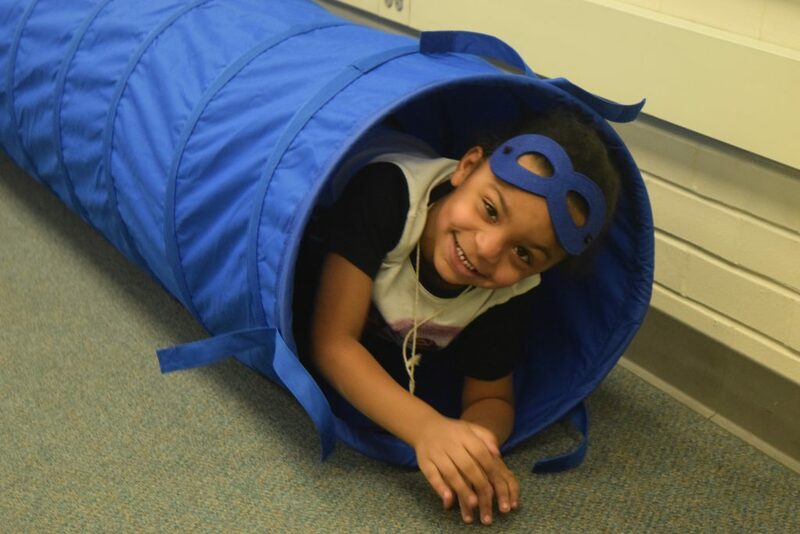 Now, she provides the “Learn Through Play” curriculum to all Muskegon Public School kindergarten students, including four classes at Marquette Elementary, two at Lakeside, two at Moon, two at Nelson, and three at Oakview. Nelson Elementary students work together on a math problem. With a play-based curriculum, Gill emphasizes, students are learning how to interact with peers, cultivating creativity, developing emotional intelligence, and building empathy. Throughout the various elementary schools, Gill says she’s seen significant behavioral change when children have access to play. 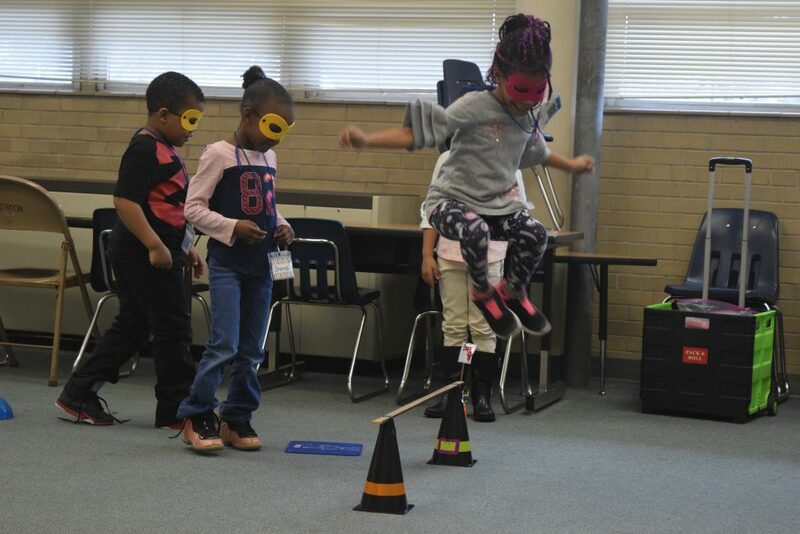 Incorporating joy and play into learning not only helps students to look forward to school, improve their academic skills and better connect them with their peers, it too is a piece of working with a population experiencing trauma in Muskegon County. 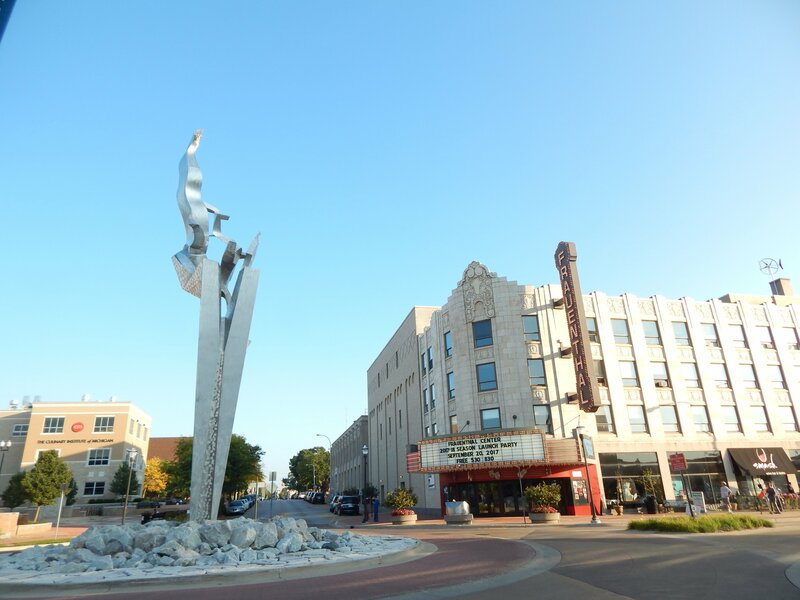 Nearly one in three residents has experienced some kind of childhood trauma, according to a HealthWest study of 2,252 Muskegon County residents—more than twice the national rate. With the “Learn Through Play” curriculum, students learn how to identify and cope with a wide range of negative emotions, Gill notes. Then, they stand, laugh and wave to their teacher as they leave ninja school. Story and photos by Anna Gustafson, the publisher and editor of Muskegon Times. You can connect with Anna by emailing MuskegonTimes@gmail.com or on Facebook, Twitter and Instagram. Remarkable story; truly remarkable teacher. Thank you, Jennifer Gill, for your passion and dedication for the children of Muskegon.